Fly fishing guiding in the Goulburn Valley at Thornton Victoria. Guided fishing and/or tuition can entail many things but essentially it comes down to this. You have a guide at your disposal to take you fishing, answer your questions, teach you skills and offer you the best fishing opportunities on any given day. 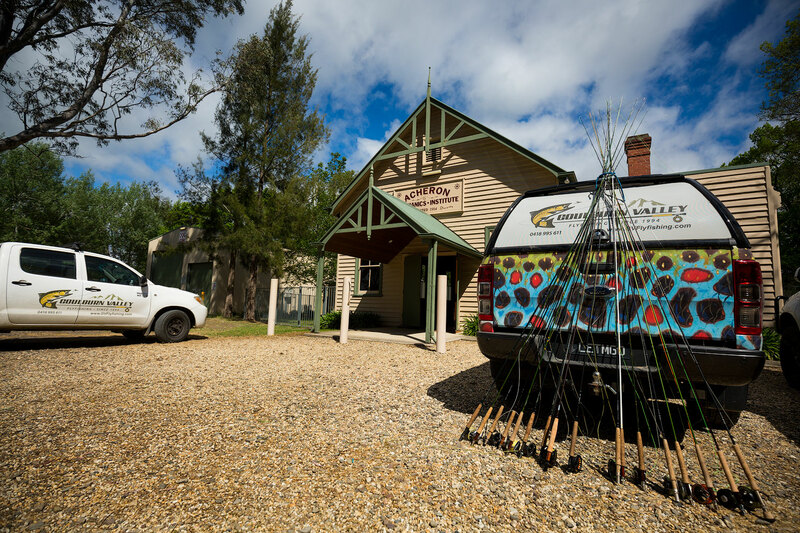 It doesn’t matter if you are a beginner or an expert fly fisher, our guides are here to help with anything that you need for the duration of your visit. Sometimes this can be as simple as taking you to the best fishing and assisting you with the necessary techniques required. At other times the guide may be required to impart a lot more information and assistance, beginners needing a lot more help. This is all part of what a good guide offers his clients. In short, our job is to ensure that you get what you need from the session. Another aspect of our guiding service is assisting people to come to terms with the local conditions and to make the most of their valuable fishing time. Larger rivers like the Goulburn can be difficult to decipher, especially when your own time to devote to it is limited or you are just visiting the area for a short period. Similarly small ‘Blue Ribbon’ waters like the Rubicon require a different approach. A guide will unlock the mysteries of our local waterways and ensure that you get the most out of your visit. Our guides have quick and easy access to areas that are hard to reach for the casual visitor. This is due to a lifetime of living and working in the district. Being able to drive straight into locations that would otherwise require a long walk, maximises any time spent with us, and gives us lots of options from day to day. This access, when combined with the guide’s vast knowledge of the area and what is going on at any given time, enables us to put you onto the best fishing available. Furthermore, good companionship and camaraderie make a guided day’s fishing even more enjoyable. 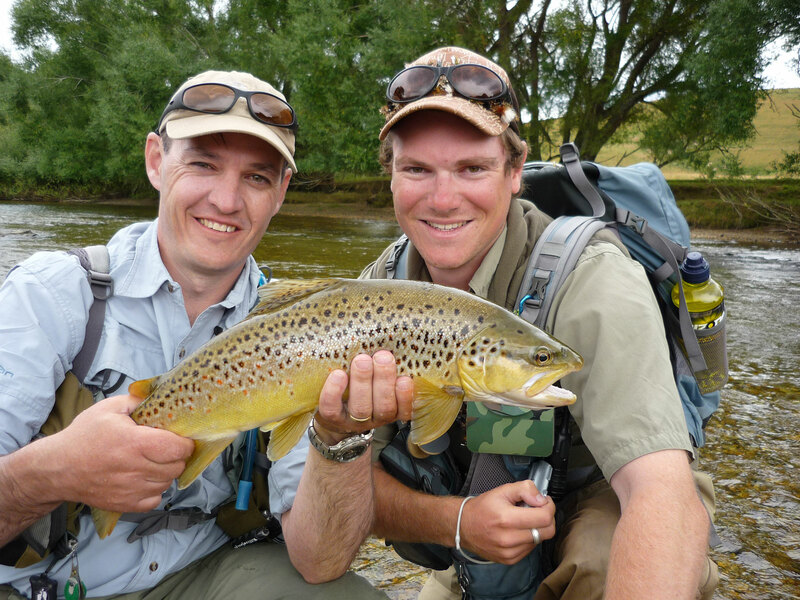 Our guides are not only hard-working, with a wealth of fishing/guiding experience; they are also all extremely easy-going, personable and well-grounded. Our team varies in age from their early thirties to mid-seventies; meaning that we can find the right person to fish with you. Guided fishing and tuition is available by the hour, half day or full day. Please view our latest prices by clicking here or phone us on 03 5773 2513 or 0418 995 611 for more information. We are available from 8am – 10pm, every day of the week.